Canaves Oia Hotel is considered one of the finest Santorini luxury hotels in Oia and provides tastefully designed facilities and services to ensure their guests a comfortable, fairytale like stay in the standards of an authentic luxury hotel in Santorini, Greece. 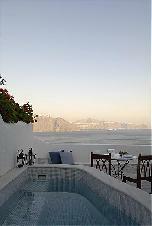 The Canaves Oia Hotel in Oia is built on the side of a cliff overlooking the Caldera. It offers private parking and gourmet dining. A private motor yacht is available for cruises in the Aegean Sea and the islands. 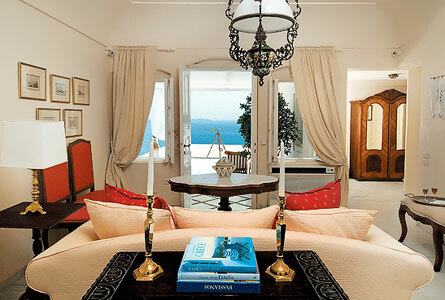 Canaves Oia Hotel provides luxurious accommodation in spacious suites and rooms beautifully appointed with antique furniture and art objects. 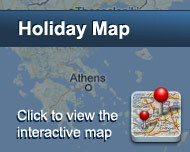 The hotel consists of two sections, Canaves Oia and Canaves Oia Suites, which are 80 metres away from each other. Both sections are recently renovated and have their own pool area, pool bar and 24 hour reception. The à la carte gourmet restaurant and wine cellar are located at Canaves Oia Suites and are available exclusively to hotel guests. Είστε ιδιοκτήτης ή διευθυντής στο CANAVES OIA; Εγγραφείτε τώρα για δωρεάν εργαλεία, που μπορείτε να χρησιμοποιήσετε για να βελτιώσετε την καταχώρησή σας και να συνδέσετε την ιστοσελίδα σας και το σύστημα κρατήσεών σας.